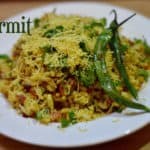 Girmit is a very popular street food from north Karnataka. 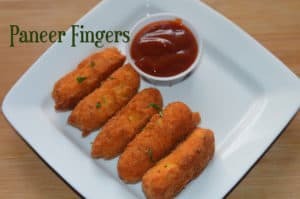 This snack recipe is extremely popular in Hubli-dharwad region of Karnataka.Its usually eaten with Menasinakayi bajji. Girmit is a very popular street food from north Karnataka. This snack recipe is extremely popular in Hubli-dharwad region of Karnataka. Heat oil in a kadai. Make a small slit , fry 2 green chilies ,sprinkle some salt and keep it aside. In the same oil , add in mustard seeds,cumin,garlic,hing,chillies and turmeric and saute. Then add onions,salt and cook until onions turn soft. Add tamarind pulp and saute for another 2 minutes and keep girmit mixture is ready…cool it and keep aside. Take puffed rice/mandakki in a deep bowl, add onions,tomato,coriander ,fried gram powder and girmit mixture and mix well. On a serving plate put prepared mixture and top it with some more coriander leaves ,sev and fried chilles. Girmit is ready ,serve it immediately else puffed rice becomes soggy.